The Killeen Police Department would like to wish everyone a Happy Independence Day. We also want to remind our residents about the responsibility to celebrate safely and legally. Fireworks are illegal to discharge within city limits and it shall be unlawful for any person to possess, store, offer for sale, sell at retail, or use or explode any fireworks within the corporate limits of the city and within the area immediately adjacent and contiguous to the city limits and extending outside the city limits for a distance of five thousand (5,000) feet, unless such area is within the corporate limits of another municipality. Any person in violation may be charged with a class C misdemeanor and a fine up to $2,000.00. The use of fireworks can put an unnecessary strain on police and fire departments. Fireworks are dangerous and citizens should understand the associated risks, which can include burns, injuries, fire and even death. Leave the fireworks to professionals and enjoy one of the area shows. Pets and Fireworks don’t mix. The Animal Services Unit has an influx of animals after the holiday because pets are left unattended and they become frightened or disoriented from the noise. Remember to keep your pets in an escape-proof home, as many can jump over or dig under a fence in their panic from the noise. Make sure your pet is micro-chipped. Loud, unexpected noises such as fireworks may affect combat veterans suffering with PTSD. Please celebrate safely and responsibly. On June 27 and 28, 2018, members of the Killeen Police Department Criminal Investigation Division were joined by the Texas Department of Public Safety Criminal Investigation Division (CID) and the Bell County Sheriff’s Department for a Warrant Round Up. The primary goal of the Roundup was to apprehend known violent or habitual criminals including documented gang members and suspects known to be involved in the drug trade. During these two days, multiple teams from DPS CID, KPD CID and BCSD worked to locate and apprehend 18 wanted fugitives. These suspects were arrested on a variety of outstanding warrants such as Aggravated Assaults, Narcotics Violations, Parole Violations, Theft and Criminal Mischief. 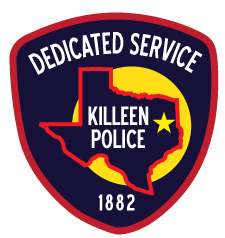 In 2017, the Killeen Police Department requested assistance from the U.S. Department of Justice (DOJ) Office of Justice Programs (OJP) Diagnostic Center with assessing the scope of violent crime, reviewing existing response strategies and understanding community perspectives on crime and community engagement. It was anticipated that working with the Diagnostic Center would help the Killeen Police Department with implementing proactive strategies to reduce crime, use resources more efficiently and build positive relationships with the community. As a training and technical assistance resource, the OJP Diagnostic Center has been able to provide customized technical assistance to help other state, county, city and tribal communities build capacity to reduce violence and other serious crimes in their jurisdictions, and it is anticipated that their assistance will provide the same benefits to the Police Department and citizens of Killeen. A copy of the Diagnostic Center’s report will be available on the PD’s website after 2:00PM on Monday June 25th. To view a copy visit www.killeenpd.com . On Thursday, June 21, 2018, at approximately 12:36 a.m., Officers were dispatched to the 5400 block of Veterans Memorial Boulevard in reference to a 911 call about a crash. Upon the officers’ arrival, they located two people lying in the roadway. The preliminary investigation revealed that the two pedestrians, an adult female and a female child, were walking on Veterans Memorial Boulevard, when they were struck by a black 4-door Hyundai that was traveling eastbound in the inside lane, near Dogwood Boulevard. The occupant of the vehicle reported no injuries. Justice of the Peace Claudia Brown pronounced 32 year-old Ashley Carol Leonetti of Harker Heights and the 2 year-old juvenile child deceased at 1:15 a.m. She ordered autopsies to be performed at the Southwestern Institute of Forensic Sciences in Dallas. On Friday, June 1, 2018, officers responded to a residence in the 3800 block of Kevin Shaw Drive in reference to a burglary of a habitation that had occurred during the early morning hours on Tuesday, May 29th. The residents were out of town during the time of this burglary, however images of suspects were recovered from the home’s security system. The homeowner’s video appears to reveal that, at approximately 1:02AM, three light skinned black male suspects exited a dark colored sedan that had parked down the street, and approached the victim’s house ultimately entering the garage and taking several items of property. Detectives with the Criminal Investigation Division, Burglary Unit, are asking anyone who has information about this Burglary to contact Crime Stoppers at 254-526-TIPS (8477) or go online at www.bellcountycrimestoppers.com. You can also download the P3Tips App for IOS and Android and give an anonymous tip. All information given is anonymous and confidential, and if your tip leads to the arrest of the person(s) responsible for this Burglary, you could be eligible for reward up to $1,000 in cash. On Friday, June 1, 2018, at 9:52 p.m., Officers responded to a 911 call in reference to a crash involving a car and a motorcycle, in the 5200 block of Bridgewood Dr. The preliminary investigation revealed that a 2006 Suzuki motorcycle was traveling northbound at a high rate of speed on Bridgewood Dr., when the driver of a 2014 Jaguar backed without safety onto the roadway from a private driveway; resulting in the motorcycle to colliding with the back right quarter panel of the vehicle. The impact caused the rider of the motorcycle to be ejected and collide with a parked vehicle in the southbound lane of Bridgewood Dr., with the rider eventually coming to a rest in the roadway. The victim was not wearing a helmet at the time of the crash. The operator of the motorcycle, 54 year-old Haywood J. Stricklen, was transported to the Carl R. Darnall Medical Center where he succumbed to his injuries and was pronounced deceased by medical authorities at 10:37 p.m. This crash continues to be investigated by the Killeen Police Department Traffic Unit and information will be released as it becomes available.